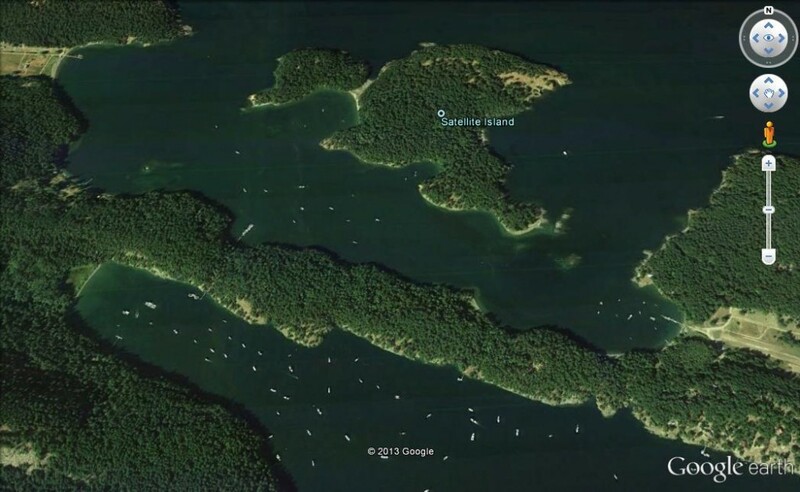 Two of the most popular San Juan Island anchorages are at Stuart Island, separated by a narrow peninsula. Prevost Harbor, to the north, is a convenient first or last stop before crossing Boundary Pass into Canadian waters. Reid Harbor, to the south, is only a short cruise from Roche Harbor, Garrison Bay, and other significant destinations on San Juan Island itself. There are a handful of hazards in the area, but most are easily avoided. Johns Island is immediately east of Stuart Island. Johns is a relatively small landmass. Boats passing between Reid Harbor and the northern side of Stuart Island, or the reverse, can typically go around the eastern end of Johns Island, (and tiny Ripple Island beyond) without consuming either a lot of time or fuel in the process. Johns Pass, between Johns and Stuart Islands, is not difficult to navigate. Even so many boaters run into trouble in waters south of the pass, just off the southeast tip of Stuart Island. There are rocks and kelp beds extending well across what would otherwise seem to be the intuitive course to take either approaching or leaving the south end of Johns Pass. Many prudent mariners consider the small savings to be realized in time or fuel and lay a course that doesn’t transit Johns Pass. The shortest distance between two points isn’t always a straight line, especially if that straight line leads directly to the boatyard. 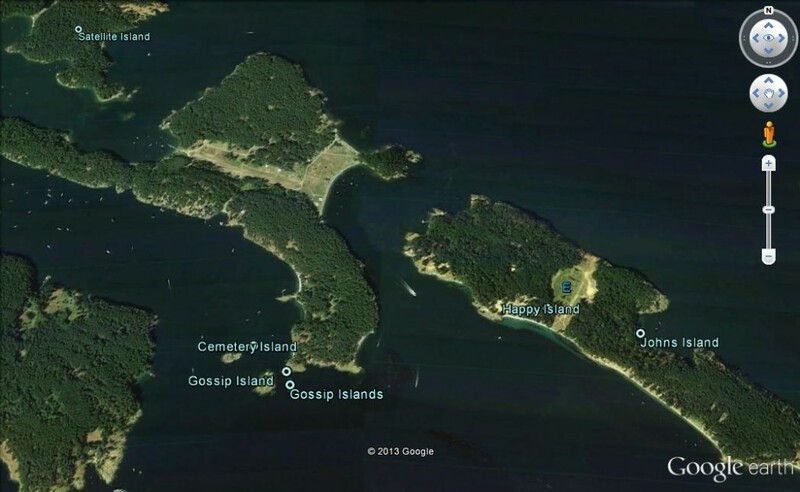 Prevost Harbor, on the north side of Stuart, is protected as well as confounded by Satellite Island. To the casual eye, it can appear that there is “plenty of water” on the east and southeast sides of Satellite Island, but the only reliable and reasonable access into Prevost Harbor is around the western end of Satellite Island. Rocks and shoals abound to the east, often covered by only a foot or two of water- ideally situated to tear the bottom out of a vessel operated by a clueless skipper.